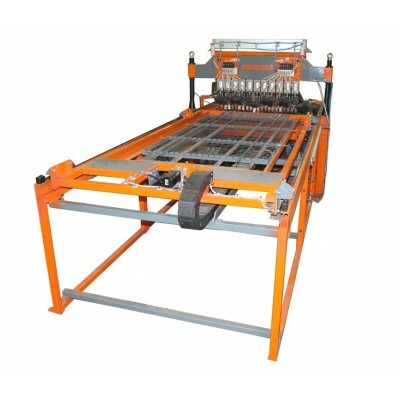 Welding mesh machine in the jig is designed for shopping baskets and trolleys production as well as shelvings and accessories, cable trays, cages for animal and gabions. Programmable automatic welding provides a high quality and proper dimensions of the mesh thanks the fixation of rods in the frame. "Rosstroytech" priority is a design and manufacture of non-standard custom welding equipment on the customer's requirements. 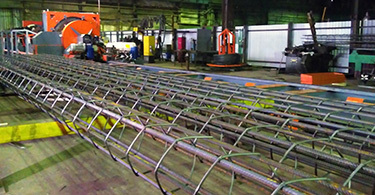 Welding machines for consumer products, as, for example, baskets or trolleys for supermarkets, shelves and cages are made of a various diameters wire. 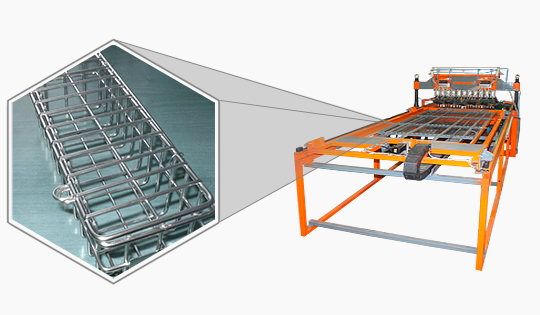 The production process of welded consumer products requires high precision geometry design. "Rosstroyt..